As far back as we can go the Altar was the center of human society, and an object of peculiar sanctity by virtue of that law of association by which places and things are consecrated. It was a place of refuge for the hunted or the tormented - criminals or slaves - and to drag them away from it by violence was held to be an act of sacrilege, since they were under the protection of God. At the Altar, marriage rites were solemnized, and treaties made or vows taken in its presence were more Holy and binding than if made elsewhere, because, there man invoked God as witness. In all the religions of antiquity, and especially among peoples who worshipped the light, it was the usage of both Priests and people to pass around the Altar following the course of the sun - from the East, by way of the South, to the West - singing hymns of praise as a part of their worship. Their ritual was thus an allegorical picture of the truth which underlies all religion - that man must live on earth in harmony with the rhythm and movement of heaven. From facts and hints such as these we begin to see the meaning of the Altar in Masonry, and the reason for its position in the Lodge. 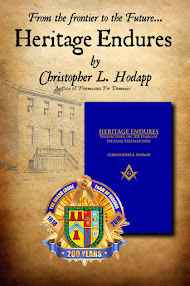 In English Lodges, as in the French and the Scottish Rites, it stands in front of the Master in the East. In the York Rite, so called, it is placed in the center of the Lodge - more properly a little to the East of the center - about which all Masonic activities revolve. It is not simply a necessary piece of furniture, a kind of table intended to support the Holy Bible, the Square and Compasses. Alike by its existence and its situation it identifies Masonry as a religious institution, and yet its uses are not exactly the same as the offices of an Altar in a Cathedral or a Shrine. Here is a fact often overlooked, and we ought to get it clearly in our minds. Surely those are memorable words, a Magna Carta of friendship and fraternity. Masonry goes hand in hand with religion until religion enters the field of sectarian feud, and there it stops; because Masonry seeks to unite men, not to divide them. 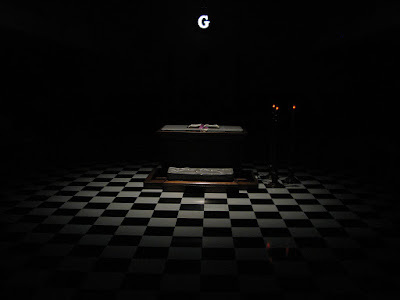 Here then, is the meaning of the Masonic Altar and its position in the Lodge. It is first of all, an Altar of Faith - deep, eternal Faith which underlies all creeds and over-arches all sects. 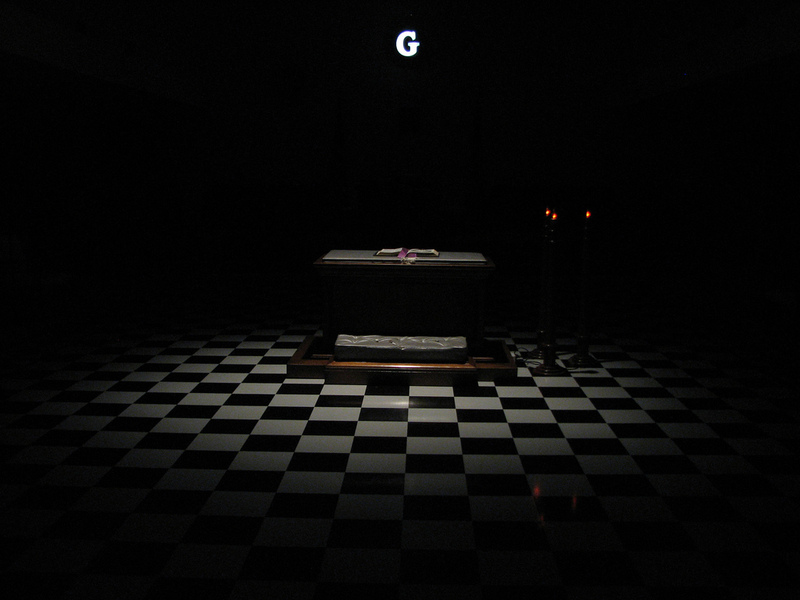 The Altar of Freemasonry is an Altar of Freedom - not freedom FROM faith, but freedom OF faith. Beyond the fact of the reality of God it does not go, allowing every man to think of God according to his experience of life and his vision of truth. It does not define God, much less dogmatically determine how and what men shall think or believe about God; there dispute and division begin. I sought my Brother out and found all three." Here one fact more, and the meaning of the Masonic Altar will be plain. Often one enters a great church, like Westminster Abbey, and finds it empty, or only a few people in the pews here and there, praying or in deep thought. They are sitting quietly, each without reference to the others, seeking an opportunity for the soul to be alone, to communicate with mysteries greater than itself, and find healing for the bruising of life. 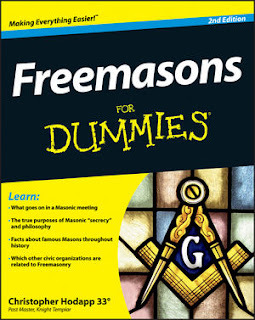 But, no one ever goes to a Masonic altar alone. No one bows before it at all except when the Lodge is open and in the presence of his Brethren. It is an Altar of Fellowship, as it is to teach us that no man can learn the truth for another, and no man can learn it alone. Masonry brings men together in mutual respect, sympathy, and good will, that we may learn in love the truth that is hidden by apathy and lost by hate.